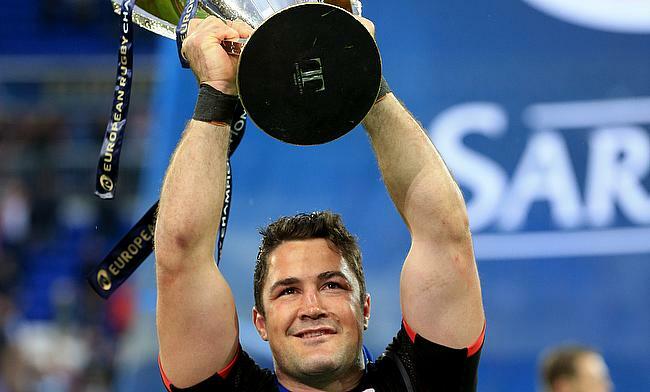 Saracens skipper Brad Barritt has penned a new deal that will keep him with the English Premiership club until 2020. The 31-year-old recently led the Allianz Park outfit to their fourth Premiership title two days back when they defeated Exeter Chiefs in the final at Twickenham Stadium and was also captain of the team that completed a double in 2016. Barritt made his professional rugby debut with Sharks in 2006 and joined Saracens in 2009, racking up over 200 appearances for the club in which he scored over 100 points. He was called up to England squad in 2010 to face New Zealand Maori but his full debut came against Scotland in the 2012 Six Nations Championship. Overall, he has featured in 26 Tests since his debut in February 2012 but his last appearance for the red rose side came during the 2015 World Cup. He was also included in the British and Irish Lions during their 2013 tour of Australia.